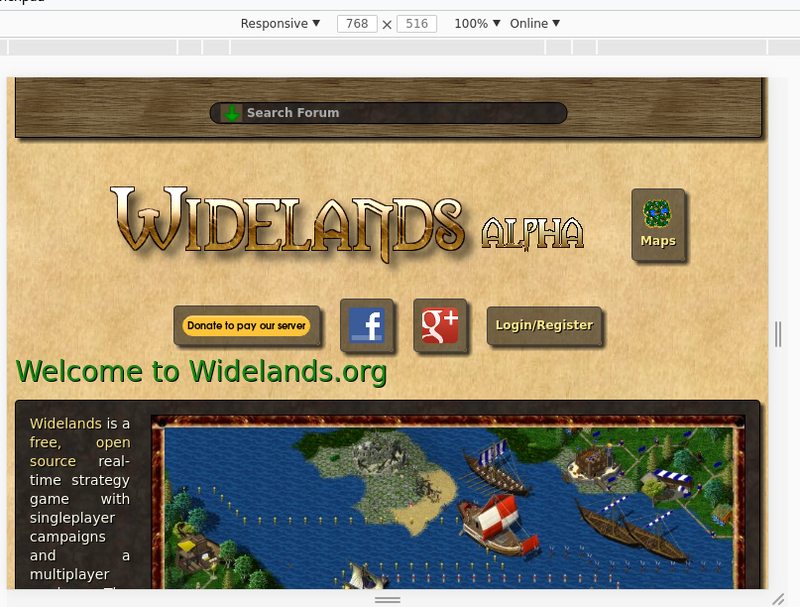 I am thinking for years about to make the login box smaller to have some place on the top for other things. 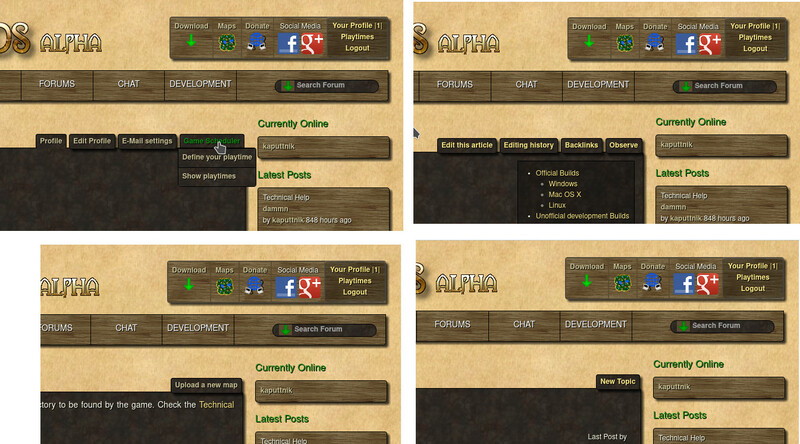 The main idea is to move some links from the login box into tabs on the profile page. The login box contains then only "Login/Register" if one isn't logged in, and "Your Profile ( x ) Logout" when logged in. "Your Profile" is the link to your profile page where you can edit your settings, "x" is the the number of PMs and on a click on that number you get to the messages page. Mhhhh... don't know if I already talked about that but this reflexion really needs to be thought in regard to the future responsive design of the general website! And for that matter the easiest way would be to have a sort of second menu. Would that be possible to take the second attempt and put them in the same box with some sort of separator? I guess even a simple line would be enough at first? edit: oh! And maybe add a message icon close to "your profile" the number alone is weird. Logout could be replaced with an icon too btw, but not sure how that would render in the end. Mhhhh... don't know if I already talked about that but this reflexion really needs to be thought in regard to the future responsive design of the general website! Yes, i tried that by using a flex design. And for that matter the easiest way would be to have a sort of second menu. Would that be possible to take the second attempt and put them in the same box with some sort of separator? I guess even a simple line would be enough at first? I think the entries in the top 'menu' should all have the same height. And it would be better to make them in one block so the logo and the 'menu' stays on its own rows when the viewport shrinks. I guess you mean that? The donate button could be adjusted further to contain two lines of text. I have added an additional link to the download page in the wiki. The bottom screenshot shows also the tooltip when one is hovering over the text 'Your Profile'. An actual image which shows some changes made so far. 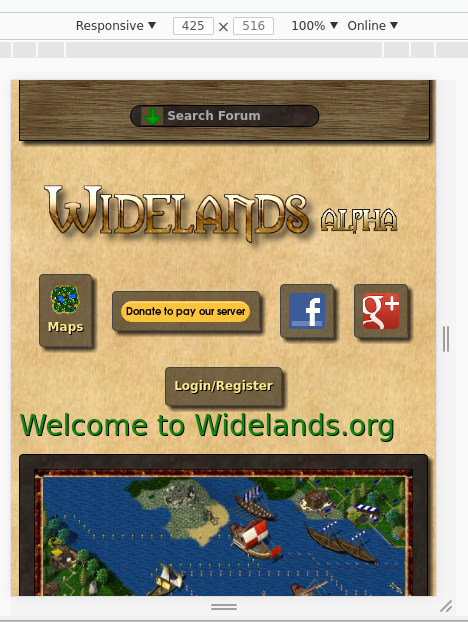 Tabs are added to Wiki, Maps, Forum and all other places where currently small green links are shown (e.g. in in Maps: "Upload new map". Nice touch with the donate icon. I tried looking for one, but I couldn't imagine one that would fit. I'm still having a problem with the last tab not being aligned with the big box. Is that by design for more clarity though? The titles for the others are also links, so i gave them the same look and style like every link on the page. The title of the social media section can't be a link because there are two different links in this section. So: No link, no link-like style. But i have to admit that it looks a bit strange. If your browser doesn't show the page as like shown in the previous images, please post your used browser and the version.